Our food supply is under attack and the people are fighting back! Join us this Saturday, May 25 at 2PM at Peace Park in New Paltz, NY for the March against Monsanto. 425 have signed up! We hope you do too by clicking here. Marches are planned across the globe on that day in almost 50 countries spanning six continents. The people are demanding the right to healthy, nontoxic food and the protection of our soil, air and water. The theme of our rally and march is to demand labeling of foods made with genetically modified organisms (GMOs) which have proven to cause harm to human health. Here is just one study from MIT that links chemicals used in GM crops with infertility, cancer, Parkinson's and Alzeimher's. Monsanto has tons of money and politicians in their pocket, but we have something greater- the passion, determination and persistence of everyday Americans who demand to know what they are eating and feeding their families and who want to protect our beautiful earth. It is going to be a terrific day. We will even have a little music for you by the incomparable duo of Joakim Lartey (percussion) and Thomas Workman (multi-instrumentalist). Here is our press release that includes a list of our wonderful co-sponsors. We thank you! May 25 “March Against Monsanto” to be held at Peace Park in New Paltz. New Paltz, N.Y. - On May 25, there will be a “March Against Monsanto” at Peace Park, next to Village Hall on Plattekill Avenue in New Paltz starting at 2PM. Hundreds have signed up to attend. It is part of a global day of action against Monsanto and the genetic modification of our food supply. Marches are planned for nearly 50 countries, spanning six continents. The New Paltz rally will feature sign-making and music (from 2-2:15) informative speakers, free literature (including Non-GMO Shopping Tips and GMO Health Risks brochures) free heirloom seeds from the Hudson Valley Seed Library and organic food samples from Gomen Kudasai. Beth Dulay, an organizer of the event, was compelled to lead the march in New Paltz, after learning that President Obama signed “The Monsanto Protection Act” into law, which gives US citizens no legal recourse against Monsanto and other biotech giants, if their genetically modified crops cause, sickness, death or environmental contamination. “There have been no long term tests for the effects of eating Genetically Modified Organisms and short term testing is linking the GMO crops to a myriad of health complications,” said Dulay. Speakers will include Liana Hoodes, Director of the National Organic Coalition; Joel Tyner, Dutchess County Legislator; Barbara Upton, New Paltz Women in Black; Billiam van Roestenberg, Liberty View Farm and Beth Dulay who has a personal story to share on the dangers of GMOs. The right to know what we are eating by labeling foods with GMOs will be a theme of the event. Over 90% of Americans support labeling. Go to http://www.gmofreeny.net to contact your state legislators and www.centerforfoodsafety.org to support bills for labeling on a national level. The March Against Monsanto in New Paltz is being organized in conjunction with GMO? OMG! 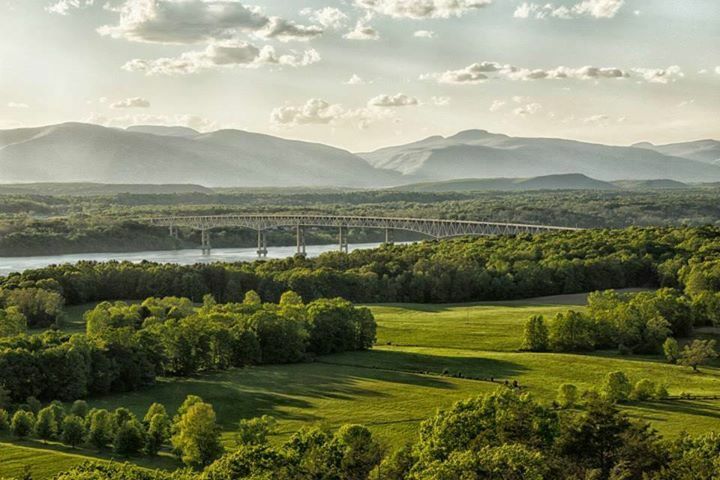 Hudson Valley for No GMO’s, which is on Facebook. Other sponsors include: Hudson Valley Seed Library, Occupy New Paltz, Occupy Poughkeepsie, Occupy Northern Dutchess, Gomen Kudasai, Climate Action Coalition, New Paltz Women in Black, Veteran’s for Peace of the Hudson Valley, Four Winds Farm, Liberty View Farm, Evolutionary Organics Farm, Occupy Kingston, Occupy South Ulster, The Hudson Valley Activist Newsletter, The Hudson Valley Chapter of W.O.R.D. 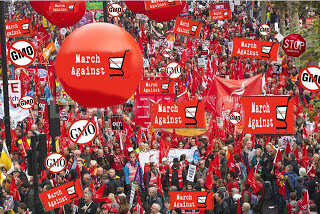 "How The March Against Monsanto Can Change TheWorld".